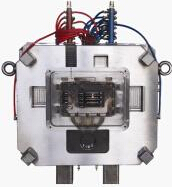 Product categories of Communication Boxes, we are specialized manufacturers from China, Aluminium Die Casting, Aluminium Repeater Box suppliers/factory, wholesale high-quality products of Communication Boxes R & D and manufacturing, we have the perfect after-sales service and technical support. Look forward to your cooperation! 1. Aluminium Die Casting for Communication boxes. 3. Process: CNC machining,deburring, drilling holes, tapping, grinding, CNC machining ect. 4. Application:optical equipment parts, auto parts ,machinery parts, household parts, Cooker parts ,furniture parts,electronic parts,etc. 5. main equipment: 6 die casting equipments (88T,160T,280T,500T,800T), 12 processing centers ,6 CNC centers, 2 lathe, 1 EDM, 2 spark machines, ect. 6. Secondary machining: CNC turning, Milling, Drilling, Grinding ect. 8. Surface treatment: chrome plating, sandblasting, painting, powder coating, anodizing, blasting, fuel injection ect. 9. According to your drawings , samples,even an idea to make production for your approval. 10. We have got ISO 9001 quality certificate & RoHs test report. 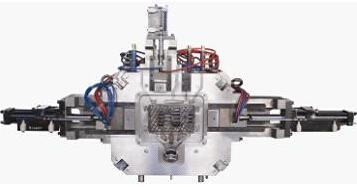 Molds including casting mold, Die casting mold, forging mold, stamping mold and etc. 1. Communication Boxes Size precision, smooth surface, high production efficiency.